Richard Curtis to bring Red Nose Day to the USA! HOLLYWOOD’S BIGGEST STARS LINE UP TO HAVE FUN, RAISE MONEY AND CHANGE LIVES as the UK’s ‘RED NOSE DAY’ COMES TO THE USA MAY 21! Red Nose Day USA comes to NBC on May 21st! A great night of comedy, music and more is promised by British film director/writer Richard Curtis (“Notting Hill,” “Bridget Jones Diary,” “Love Actually”) as he brings the successful UK charity event that he created, Red Nose Day, to the USA! 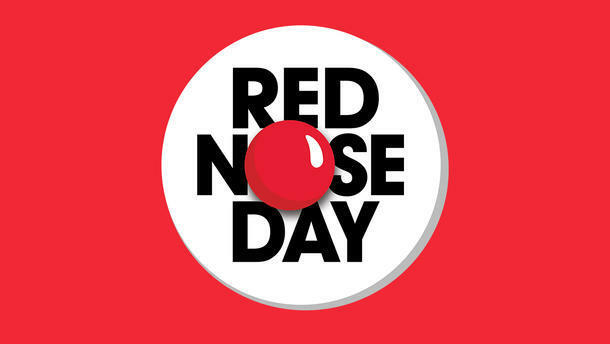 Red Nose Day is an enormously popular annual event in the U.K. that has raised more than $1 billion over the past 30 years and has brought us some of the most memorable comedic moments with our favorite British stars such as Rowan Atikinson, David Tennant, Hugh Grant, Miranda Hart and more. Red Nose Day, inspired and supported by Comic Relief U.K., is coming to the U.S. for the first time with the live broadcast on May 21 and we can’t wait to see what entertainment they have lined up! 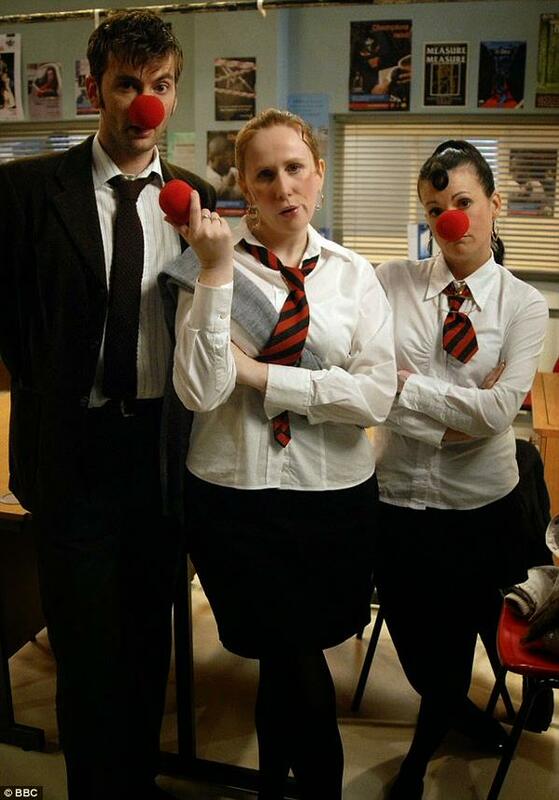 Our all time favorite Red Nose Day skit featured David Tennant and Catherine Tate! The special will air on NBC as a live three-hour entertainment event featuring world-class comedy, videos produced by Funny Or Die, incredible music performances and Hollywood’s biggest stars. 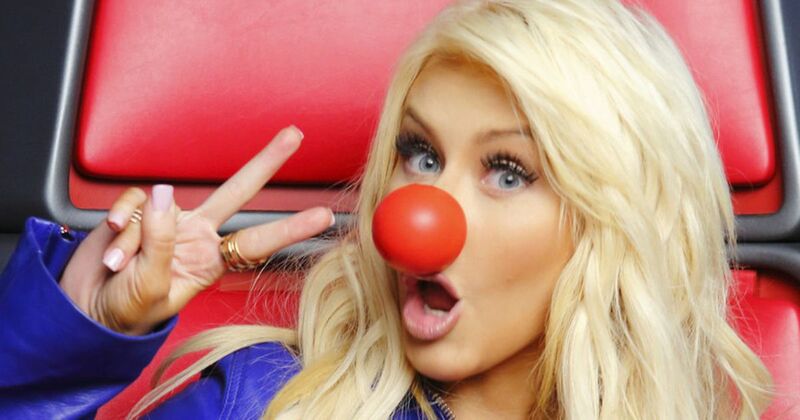 Christina Aguilera to appear on the first RED NOSE DAY USA! With a focus on having fun, raising money and changing lives, the star-studded event will help 12 charity organizations lift children and young people out of poverty, in the U.S. and throughout the world. Will Ferrell, Jennifer Hudson, Jack Black, John Krasinski, Emily Blunt, Michelle Rodriguez and Gwyneth Paltrow are scheduled to appear, along with music sensations Sam Smith, John Legend and “Voice” coaches Adam Levine, Blake Shelton, Christina Aguilera and Pharrell Williams. Matt Lauer, Carson Daly, Nick Offerman, Elizabeth Banks, Chris Pine, Jeff Goldblum, Billy Eichner, Martin Short, Laura Linney, Anna Kendrick, Sean “P. Diddy” Combs and John Michael Higgins are also slated to appear, along with Bill and Melinda Gates, Stephen Merchant and many more. People from all walks of life are encouraged to have fun and raise money through buying red noses (sold exclusively at Walgreens and Duane Reade stores nationwide), organizing fundraising events and watching and donating during the television special. The star-studded event will feature sketch comedy, parodies, videos produced by Funny Or Die, live musical performances and short appeals films that shed light on those in need. As previously announced, the money raised during Red Nose Day will fund programs that address the immediate needs of children and young people living in poverty in the U.S., Africa, Asia and Latin America. Our charity partners include Boys & Girls Clubs of America; charity: water; Children’s Health Fund; Feeding America; Gavi, the Vaccine Alliance; the Global Fund; Lift; National Council of La Raza; National Urban League; Oxfam America; Save the Children and United Way. Richard Curtis is also serving as executive producer for the NBC telecast (a Universal Television production), along with Hamish Hamilton and Ian Stewart of Done + Dusted Productions. Henrietta Conrad and Lily Sobhani will also serve as executive producers, as will Mike Farah, Anna Wenger and Joe Farrell from Funny or Die. Hamilton is set to direct. Lady Anglophile…already wearing her red nose! This entry was posted in British Telly and tagged Catherine Tate, David Tennant, Dawn French, Hugh Grant, Red Nose Day USA. Bookmark the permalink.